These touch controls with acoustic feedback are as compact as possible without sacrificing readibility, giving you more space to get creative when you're cooking. This hob's controls are designed so that you can always access them straight away. Just reach over and make your adjustments. This hob has a clever child lock that prevents your children from unwillingly activating any of the zones. Switch it on with one touch. 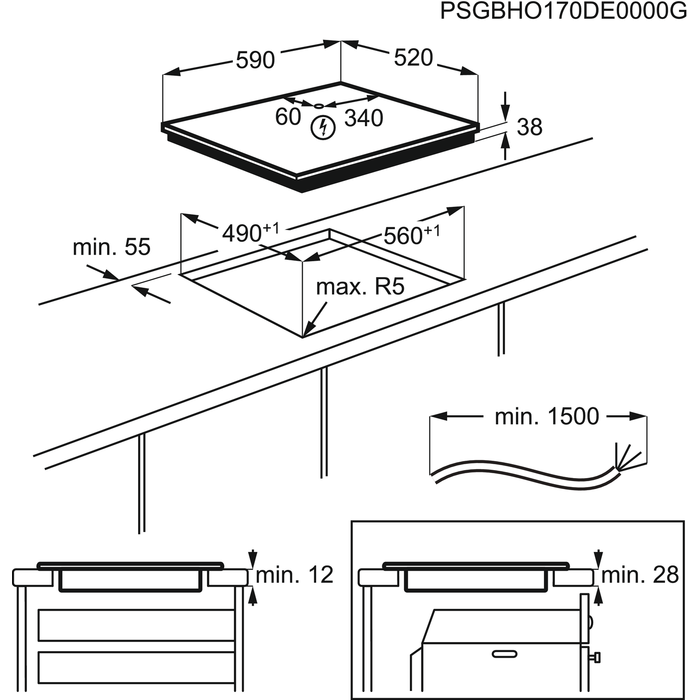 UK_HOB_Function_Residual heat ind. : This safety feature visually indicates when residual heat is left on the hob surface. UK_HOB_Function_Child safety: To maximise kitchen safety, this lock can be activated to prevent the hob from being turned on accidentally. UK_HOB_Function_Auto switch off: If a cooking zone is left on, the power automatically cuts out after a set period of time.